The Kaman K-225 was an experimental helicopter developed by Kaman Aircraft. 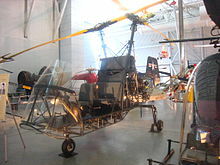 One was modified to become the world’s first gas turbine-powered helicopter. 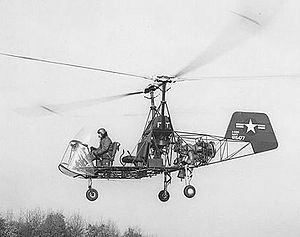 The K-125 was Charles Kaman’s first helicopter, which utilized intermeshing rotors and Kaman’s patented servo-flap stability control. The K-125 first flew on 15 January 1947. The K-190 and K-225 were an improved versions of the K-125, which first flew in April and July 1949 respectively. The U.S. Navy bought two and the Coast Guard one for $25,000 each. The United States Air Force evaluated one K-225 with the designation YH-22. 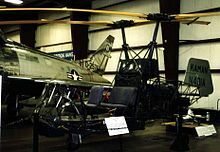 A modified K-225 equipped with a Boeing 502 (YT50) turboshaft engine became the world’s first gas turbine- powered helicopter in December 1951. This aircraft is now at the Smithsonian Institution in Washington, D.C.
United States Aircraft designation for one K-225 bought for evaluation.